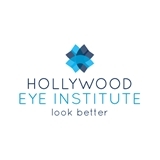 Hollywood Eye Institute (Hollywood) - Book Appointment Online! Serving Southeast Florida, Hollywood Eye Institute provides specialized, comprehensive and courteous ophthalmic care for all ages. Care for our patients begins with our Board Certified Physician and Eye Surgeon, Shareen M. Greenbaum, M.D. Dr. Greenbaum is committed to providing superior care using the most advanced treatments and diagnostic techniques. The state-of-the-art care at Hollywood Eye Institute includes handling diseases and disorders of the eye, cataract and vision correction surgery (LASIK and PRK) as well as complex surgical procedures, including upper and lower eyelid surgery, cosmetic enhancements and dermal fillers. Staff made you feel very comfortable.